But before all the madness with tech and rehearsals and previews began, James created the following recipe for the Company’s last Wine and Unwind in the rehearsal space. There are a number of cast members who are gluten-free and/or vegan, which is quite the challenge. 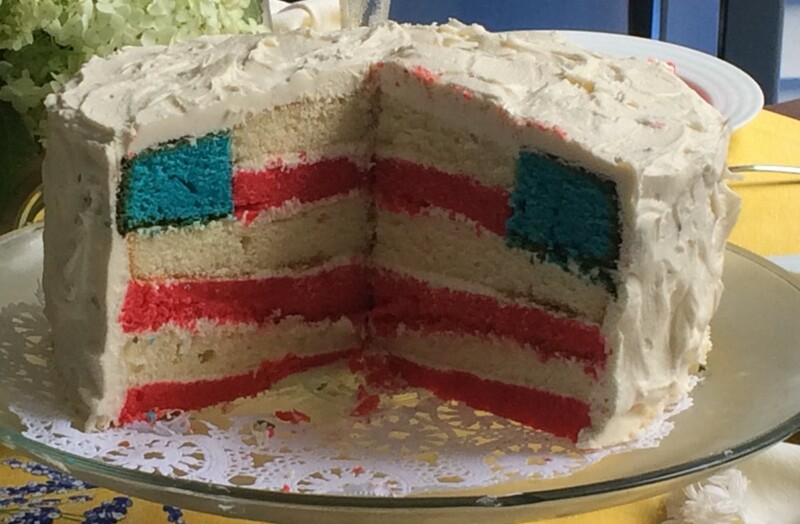 But our Backstage Baker is not to be denied — he is all-inclusive! Herewith, then, is a divine brownie recipe made with — drum roll please — BLACK BEANS!! * Enjoy Life is a good brand of vegan chips. 1. Preheat oven to 350 F. Grease an 8×8-inch baking pan. 2. Combine all ingredients except chips in a good food processor, and blend until completely smooth. Really blend well. (A blender can work if you absolutely must, but the texture—and even the taste—will be much better in a food processor.) No seriously, keep blending. Stir in the chips, then pour mixture into pan. Optional: sprinkle extra chocolate chips over the top. 3. 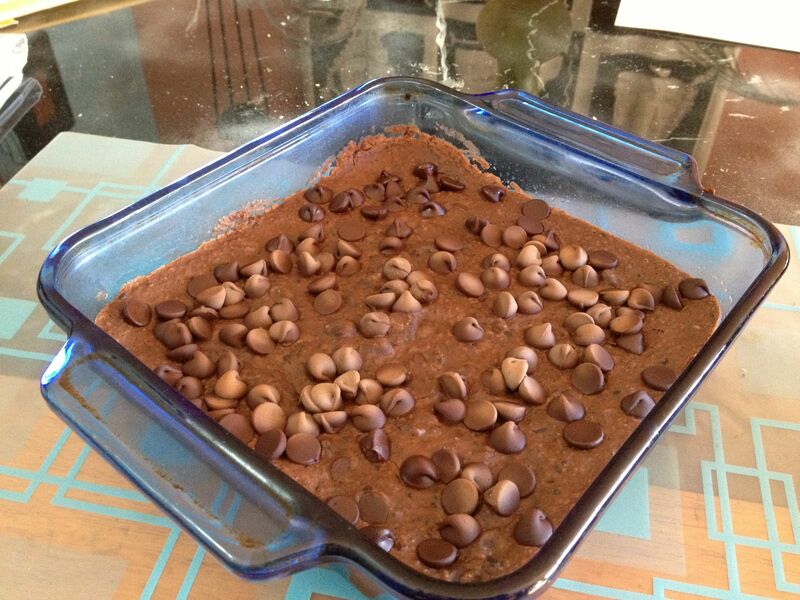 Bake the black bean brownies for 15-18 minutes, then let cool at least 10 minutes before trying to cut. Makes 9-12 brownies. 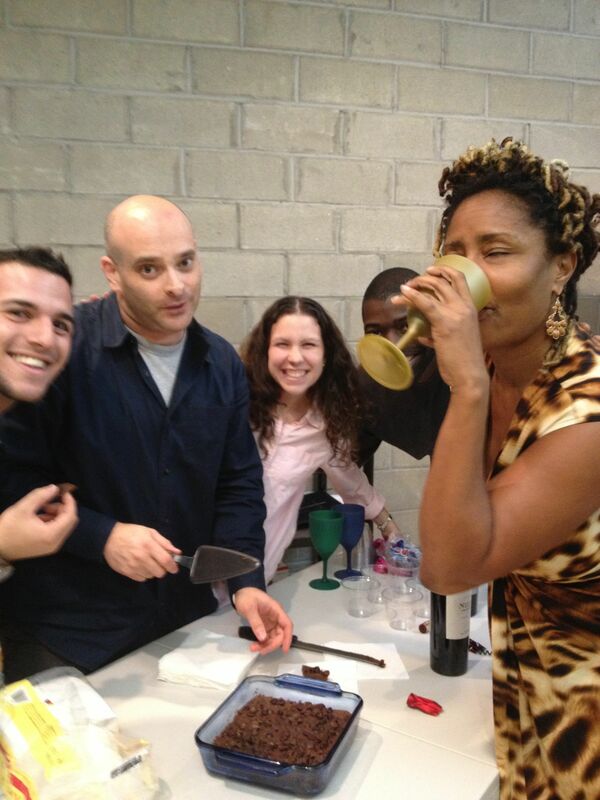 The happy cast getting ready to enjoy James’ treat! !